It turns out that ‘fake artists’ on Spotify is actually fake news. Or to put it more accurately: those artists are actually real, human songwriters and producers putting music out under pseudonyms, with those tracks then getting picked for prominent spots in some of Spotify’s popular ‘mood’ playlists for sleep, yoga, concentration and so on. The details are emerging bit-by-bit with every story that’s published, but it’s already clear that Spotify’s denial earlier this week – “We do not and have never created ‘fake’ artists and put them on Spotify playlists” – was true, if carefully specific. There isn’t a scandal here: Spotify isn’t inventing pretend artists in order to avoid paying real musicians. It’s just that the musicians involved aren’t releasing these tracks through labels, or under their own names. It’s been a fun mystery for journalists to unravel, but with every twist of that unravelling – even if you’re a label competing for the high-up slots on those playlists – the story has become less controversial. That doesn’t mean it has got less interesting though. In fact, it highlights one aspect of the increasingly playlist-centric industry of music-streaming: a blurring of the boundaries between the worlds of labels and production-music libraries. The latter function as commissioners of music for the TV, film, games, advertising and online-video industries, responding to their soundtrack demands by hiring composers, songwriters and performers to make music that answers the brief. From pitched battles to love scenes; or racing games to YouTube makeup how-tos, the libraries brief musicians on their needs, then buy out the rights to make the process of licensing this music quick and uncomplicated. Now think of what Spotify is doing with the so-called ‘fake’ artists. It’s identifying a need – a bigger pipeline of new tracks to help it freshen up its mood playlists every week – then briefing musicians (all seemingly in Stockholm, which is handy) on that need, and creating a library of tracks that fit the bill. The main point here is that this model is well-established and relatively uncontroversial – as long as the terms are fair to the people supplying the tracks – in the production-music world. Commissioning music to soundtrack a car chase isn’t a big deal. Commissioning music to fill a sleep playlist with millions of followers? That causes more of a stir. The blurring of the boundaries between these two worlds is a wider trend than just Spotify’s mood playlists though. Production-music firm Audio Network has experimented with putting some of its catalogue on Spotify, even if the main ears it wants to hit remain music supervisors at its clients. “If we’re doing real artists’ music, it should be in the places where people go to discover music. It’s helping our customers understand that it’s the real deal: if it’s on Spotify, it’s the real deal, not just contrived production music,” Audio Network’s Matthew Hawn told us in January. Epidemic Sound has also dabbled in this kind of thing. “Last summer we just started building our own YouTube channel, as a way of finding our music mainly. Putting some of our tracks on our YouTube channel was one way,” Epidemic’s Edward Höglund told us in May. UPDATE: It has emerged that Epidemic Sound is actually the supplier of a number of tracks to Spotify, which adds a new layer of intrigue to this story. For these kinds of companies, the big mood playlists on Spotify and other streaming services may be appealing new territory to grow their businesses and increase the income of the composers and musicians they work with, again, without a label (and in this case, without publishers and collecting societies, which could really ruffle some feathers) in sight. There’s an argument that Spotify could partner with (or even buy?) a production-music company, not just for its library and its roster of musicians, but for its understanding of the commissioning process. 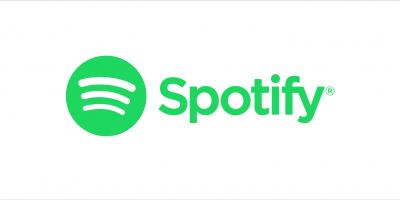 Then again, Spotify might just jump ahead to the next potential crossover between these two worlds, which promises to be even more controversial: artificial intelligence (AI) music composition, where algorithms are making music to order. The emergence of AI music startups like Jukedeck, Popgun, Amper Music, Groov.ai, Aiva and AI Music – as well as the teams working on this area within Google (Magenta) and Sony (Flow Machines) – is bringing forward rapidly the prospect of a time when AI can make music that’s good enough to compete with human compositions for certain purposes. For example: production music. Even last autumn when we published a report on AI music for the BPI, Jukedeck’s algorithms were already producing tracks that could do a serviceable job in the background of a YouTube video or game. It’s fair to wonder how long it will be until this technology is equally capable of producing tracks that slot seamlessly into a mood playlist on Spotify. Will an AI musician ever knock Adele or Ed Sheeran off their perches? Scoffing at the very notion is entirely understandable. Will an AI musician be able to knock up a five-minute ambient track that helps people get to sleep – or to take it a step further, which helps YOU get to sleep because it’s tuned to your personal profile? That’s harder to scoff at. If Spotify wants to answer this questions, perhaps it can ask François Pachet, director of Sony’s Computer Science Laboratory in Paris, and a bona-fide AI music guru who’s been overseeing Sony’s Flow Machines project. In a nutshell, then: this week’s ‘fake artists’ farrago was an enticing mystery for journalists to solve, but far from a case of scandalous behaviour by Spotify. 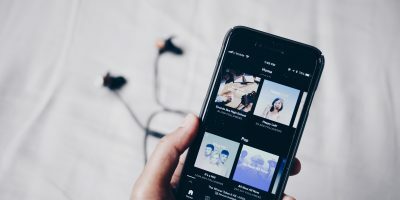 There is certainly scope for the company to talk more openly about how it’s approaching the challenge of stocking its mood playlists, and perhaps to even make its commissioning process (and the terms of its licensing in this area) more public. But what this week’s investigations are, though, are useful spurs to think about the way the worlds of labels and production-music libraries are crossing over; as well as the longer-term potential for AI-created music for listeners, musicians, rightsholders and streaming services alike. In an article supposedly in “support” of artists getting paid more fairly, why feature 2 of the production music libraries that DON’T pay composers fairly? Epidemic Sound don’t allow their writers to sign up to a performing rights society at all, and Audio Network single-handedly started a race to the bottom by deciding not to pay mechanical royalties. There are heritage libraries out there with more respect for creators, namely EMI and Universal, and it is reflected in the quality of their catalogues.